Derived from the polyimide heater manufacturing technology, film RTD probe (Pt100 or Pt1000) gives exceptional performance for surface temperature sensing. 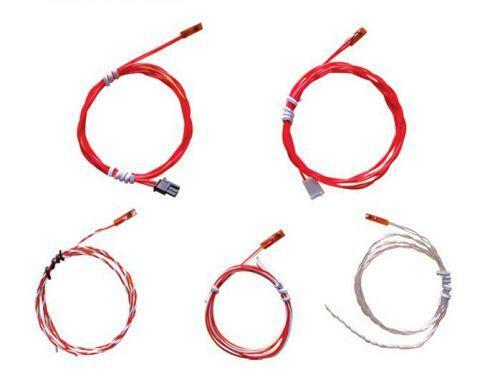 They can be used on any application where a lightweight, miniature, durable, flexible and rugged temperature sensor is required. This unique 0.2mm thick (plus 0.9mm of the chip thickness) RTD probe in the form of a 5mm x 15mm polyimide patch, provides millisecond responses and high dielectric strengths combined with very low thermal mass and physical profile. The temperature range of the film RTD / Pt100 is -60°C to 200°C continuously. The RTD probe can be made of silicone rubber patch as well.